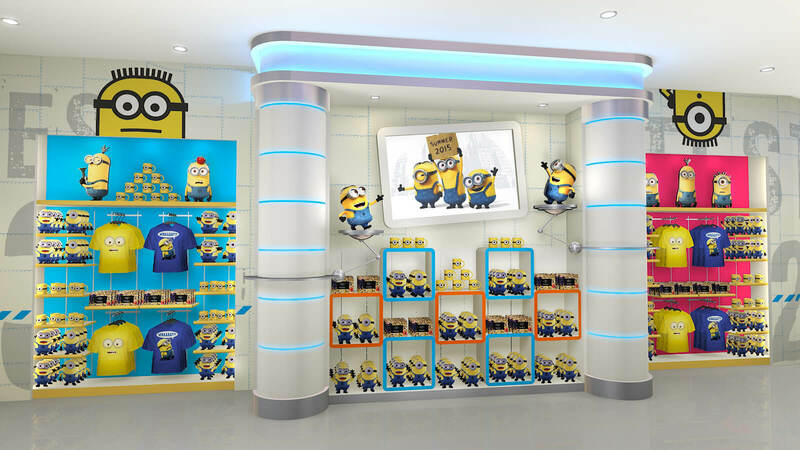 When the world-wide Minion phenomenon took off with the release of the second "Despicable Me" film, Universal was quick to introduce the Minion characters and themed retail installations at their parks world-wide. 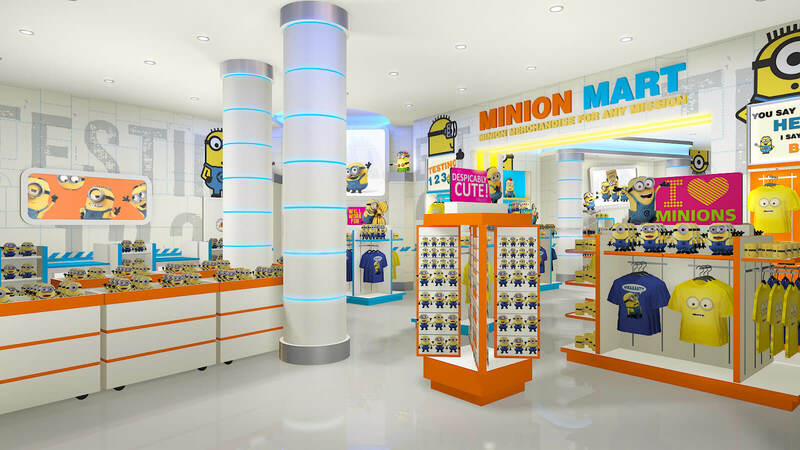 Here at Universal Studios Singapore, IRMS provided the concept and schematic design for renovation of an existing store on Hollywood Boulevard. 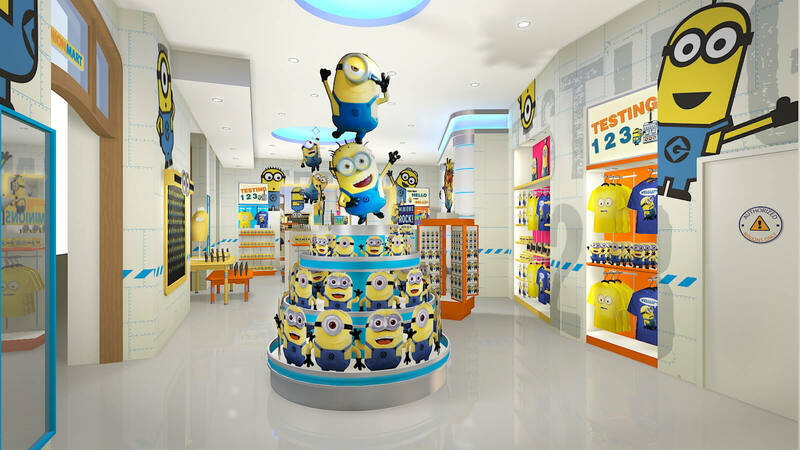 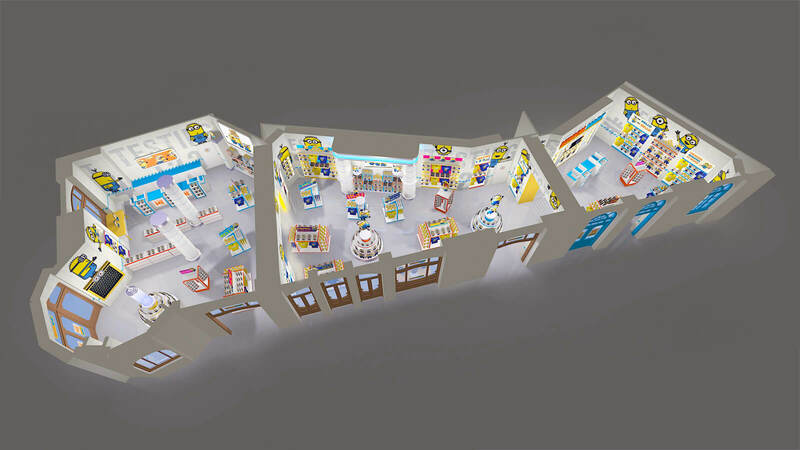 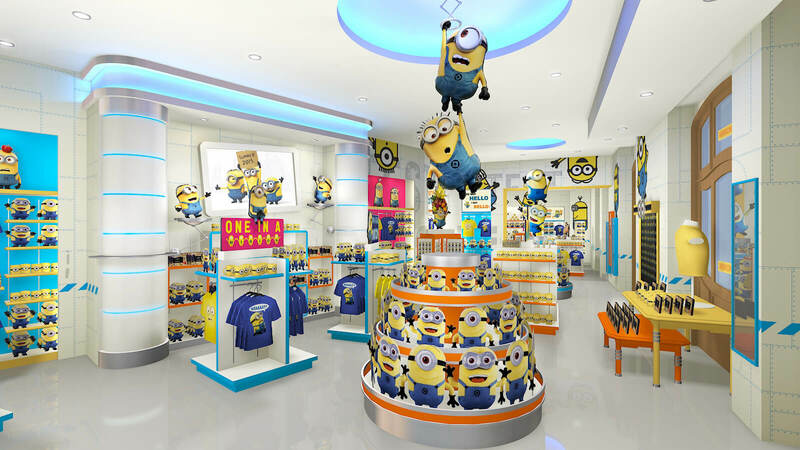 The store interiors was transformed into a Minion branded environment by using the franchise's "lab" environment as a neutral background for their signature colors and bold graphics.